The hectic pace of today's world and high roadside competition for visual advertising make it difficult to stand out to customers. However, digital message centers are an opportunity for businesses and organizations to advertise themselves and let the public know about important events. At Golden Gate Sign Company, we design and fabricate this type of innovative signage for companies. It is an ideal medium for office buildings, banks, theaters, malls, and universities. There are also many benefits to using an electronic display instead of a static sign. Going digital is simply more convenient for businesses. For instance, you no longer need to spend extra manhours replacing the letters in a marquee or outdoor display. Nor do your employees have to work outside in the elements. Managers can just use integrated computer software to change the sign message instantly from their desks. People are highly visual, but it is hard to notice new offers and businesses with all the advertising out there. The moving display used on message centers can draw the eye more readily, so customers can't miss it. Plus, creative fonts and artwork help make your digital signage more attractive. The designers at Golden Gate Sign Company can work with you to create some eye-catching displays to put on your electronic sign. Some businesses have a lot to advertise and little advertising space available. Electronic message centers provide the option of showing multiple ads on a scrolling marquee. Not only is it also a cost saver, as you don't have to install multiple signs, but you are also able to update the message at any time with a new advertisement. 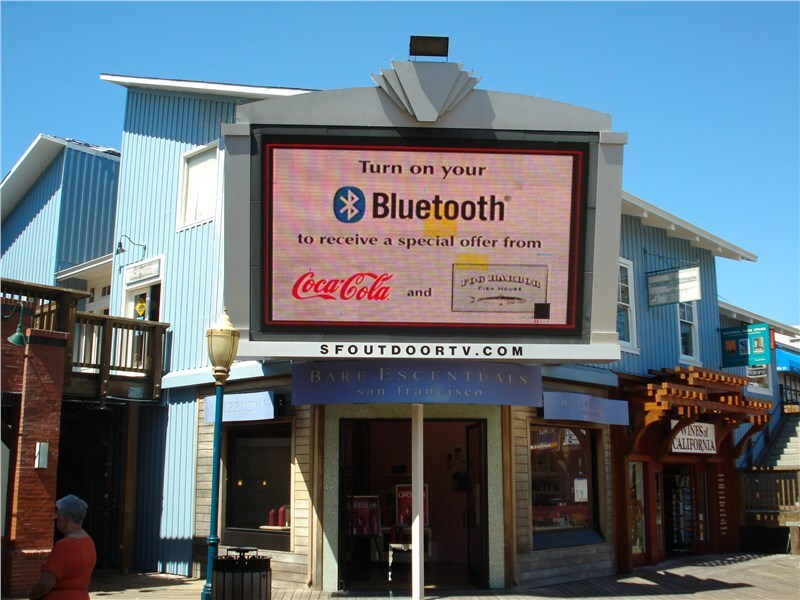 Businesses that rent space to other businesses can also use these digital displays to sell advertising space. This additional source of revenue helps the sign pay for itself, while making your location pop visually. Theaters, shopping malls, colleges, and even sports stadiums can all utilize electronic signage for this purpose. An electronic message center offers many potential uses for your company. With design and fabrication assistance from Golden Gate Sign Company, you’ll enjoy a high-quality, professionally installed marker for your business location. Allow us to custom design signage that showcases your brand with a unique changeable display. Find out more about how we can capture the attention of your target audience by filling out our online contact form or giving us a phone call. One of our friendly representatives can help you with a FREE price estimate on digital signage today.